• That the Power plans to cause all to take a Luciferian initiation. • That the One World Order plans to tag and mark everyone so that they can be instantly identified by satellites, and so they must buy and sell through their controlled system. • That the Watchtower Society is coordinating with these plans. Has the reader watched a TV show on India, or met with a Guru? Perhaps you've seen how Hinduism, expecially the Hindu teachers mark their foreheads with a red, yellow, or white dot. This is the position of the third eye. Geoffrey Hodson, in The Hidden Wisdom of the Holy Bible, Vol. 1, p. 140 tells his readers that man has now advanced to the point where he is able to use the third eye lying beneath his forehead. This is why public schools are now teaching subjects on the third eye such as "Math and the Third Eye." This third eye is on one of the Chakras, which are energy points, and initiation sites that open up outside forces to enter the body. Another Chakra is on the palm of the right hand. These two positions happen by some holy coincidence to match up with the marks of the beast prophesied in Rev 13:16,17. The information that this Author has learned on this subject is vast. Hopefully, the following will summarize this subject before the details are given. 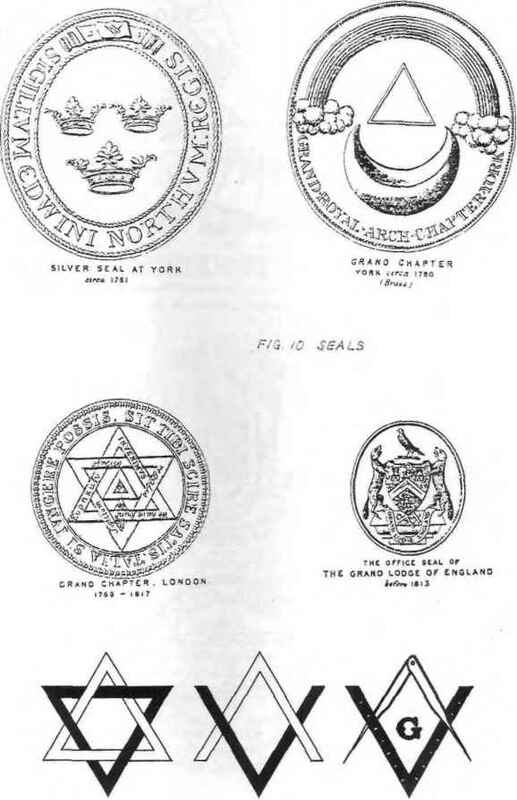 The Plans of the Satanists who control the Illuminati are to have every one take a Luciferian initiation.1 Luciferian intiations have been given already for years (actually for centuries).2 These initiations have already involved using the chakra points of the right palm and the forehead.3 Satanists may initially only push for an invisible mark, but the ultimate goal is to make the mark a visible mark that people will wear as a status symbol that they will be proud of. That will give the Satanists a perverse thrill to look over their slaves who proudly wear their Master's brand, in the same proud manner that a Texas rancher looks over his herd of cattle all wearing his ranch's brand.4 The New Age Manual of Initiation entitled The Rays and the Initiations reveals that the mark is to be given to all mankind. It is also clear that the Power intends to inject coded microchips into everyone under the disguise of a nationwide AIDS vaccination.5 Humane Societies are already injecting microchip tags into dogs to prove the viability of the tagging system.6 The tags will enable computers via Satellites to track and identify every human being. With all my awareness that the initiation point of the New Age is the third eye, it is significant that Jehovah's Witnesses rather than being warned against following the plans of Satan are being warned that they must take a mark on the third eye area to survive into the New World system. That Jehovah's Witnesses are being directed in that direction is another indication who their masters will ultimately serve. As the JWs have been conditioned to obey without question, it is probable that they will also join in taking the Luciferian Initiation. The JWs are not esteemed to highly by the Internationalists. For them the JWs are merely the Internationalists' expendable shock troops. They are not too concerned whether the JWs do or don't fall in line for survival.